Don’t you just love how-to writing instructions? You must admit, DIY is a lot easier with a little help from friends. 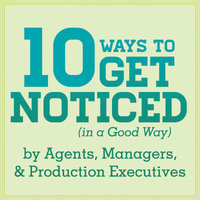 That’s why I absolutely love an article from Karen Cioffi and Writers On The Move! I admit, writing a one-sentence pitch is hard and something I’ve yet to completely agree. But I keep working on it. That’s why I was so excited to read this easy explanation of what does and does not work. And why! When selecting a book to read, the first thing I read is the pitch. If that is too confusing or convoluted I pass. Why? Because that pitch is a good indicator the story inside will be more of the same. Karen gives examples of how and how not to write a pitch/logline for your book. She explains why one is so important and even gives us a formula. I just love formulas. Be sure and click on the link below and write your one-sentence pitch. Did her tips help you write a better pitch? Now you show me yours and I’ll show you mine. Ha Ha. All kidding aside, share your pitch in the comments I’d love to read it. An aspiring author is thrilled when she meets a literary agent and mystery buff who agrees to become her mentor; thrills turn to chills when the agent shares a story plot about two women who get away with murder – a fictional plot, the agent plans to become a reality with the writers help. What do you think? Be gentle, I bruise easily. Previous What is the best word for restaurant? Next Unique, beautiful or strange; how do you select the best name? Pingback: Friday Roundup – 6th April | Stevie Turner, Indie Author. Thank you Carol, I do hope it turns out good. Very helpful! Sharing… Here’s my pitch for DOG BONE SOUP: A compelling family drama in which a youth grows to manhood in a society where the poor are quickly, and often wrongly, judged.